Clients of mine often ask me what they can do for aesthetic issues like bags under the eyes or cellulite but don’t feel quite ready for surgery. One of my colleagues Dr. Lisa Zdinak uses a procedure called carboxytherapy to address these issues in a non-surgical/non-invasive way. This Non-invasive Aesthetic Treatment is the administration of carbon dioxide [CO2] gas for therapeutic purposes. 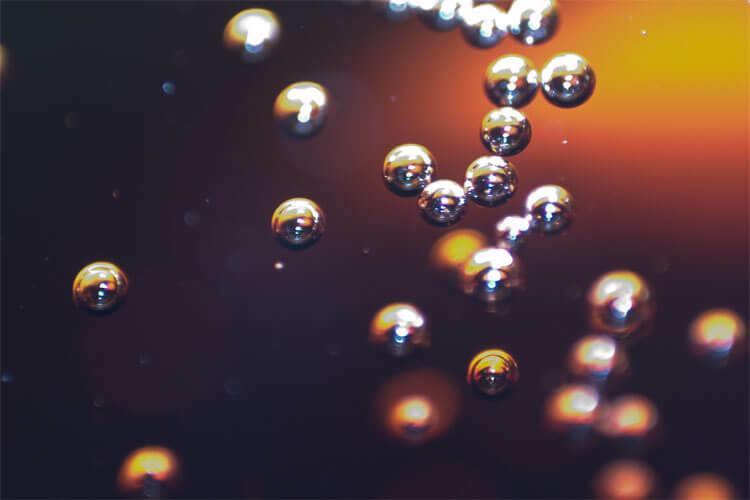 Carbon Dioxide is the gas that gives carbonated beverages their “fizz.” It should not be confused with Carbon Monoxide gas, which is a by-product of oil combustion that can be deadly. It was originally discovered in the Royal Spas of France in the 1930’s when bathing in the pools of carbon dioxide rich waters was shown to speed wound healing. Carboxytherapy takes advantage of a physiological principle known as oxygen off-loading. Carbon dioxide is naturally present in our bodies at all times and it is essential to the life processes of both animals and plants. With every breath, we inhale oxygen and exhale carbon dioxide. Plants absorb the carbon dioxide that we exhale and release oxygen back into the atmosphere. There are many types of cells that make up the human body—heart cells, brain cells, skin cells… even though they may have very different jobs to perform, all cells take up the oxygen that we breathe in and burn it to make energy to do their job, then give off carbon dioxide as a waste product. Have you ever noticed that if the blood supply is cut off to your hand that it will turn a distinctive shade of violet? What you are actually seeing is the accumulation of deoxygenated blood. Here is why. With each inhalation we breathe in oxygen to our lungs. This oxygen is picked up by the red blood cells in the tiny blood vessels of the lungs. Each red blood cell has holding space for precisely four molecules of oxygen. The oxygen-laden red blood cells are carried from the lungs via tiny blood vessels that lead to the heart. The heart beats, forcing the blood into the arteries so that the red blood cells can carry their oxygen-rich cargo to the hard working cells of the body. When the red blood cells encounter an area that has a high level of carbon dioxide, the waste product of cellular metabolism, the red blood cells become distorted, the oxygen is released to the needy tissues and the carbon dioxide is picked up by the now empty red blood cells [think of a subway train pulling into the station– the doors open, the passengers who have reached their destination get off the train, and the passengers who need to be transported elsewhere get on the train—all in a highly organized manner]. Carboxytherapy doesn’t hurt; it just feels a little “weird.” Because of differences in the techniques used to treat the eyelids, stretch-marks, scars, and fat deposits, the sensation is slightly different depending upon what is actually being treated. I use numbing cream for all of my patients to diminish any discomfort associated with the pin-prick of the needle itself. When treating the eyelids, I tell my patients that the lower eyelids will feel puffy, like they were up crying all night, but that will subside once the gas is absorbed over the next five to ten minutes. The treatment of stretch-marks and scars is relatively painless because this skin doesn’t have the same ability to sense pain. Some pressure from the gas may be felt as the stretch-marks are distended, and they can feel a bit itchy, but again this subsides in about five minutes once the gas is absorbed by the body. Scars generally feel no pain because there are no nerves in scar tissue. The treatment of cellulite and fatty deposits on the arms, abdomen, and legs has a unique sensation of its own. This is because a larger amount of the gas is injected directly into the offending fat deposits and allowed to expand. While the gas is expanding, you may feel some pressure in the area being treated that feels similar to when the arm is squeezed by a blood pressure cuff. The areas will feel warm and tingly for up to 24 hours after the treatment as the circulation to the area is improved. Article and image courtesy of Nealy Fischer. Beauty is not just skin-deep. How you feel on the inside is almost always reflected on the outside. But no matter how good your routine is, if you regularly travel you’ll know changing time zones and eating different foods wreaks havoc on your system—both inside and out. Sick of dehydrated airplane skin and guts that don’t work? Here’s a run down of products I refuse to leave home without. Long gone are the days when I used to bake my face and body in the sun. A sun-kissed look is not worth the risk of cancer and wrinkles. Easy to use and individually packed with a small mitt to avoid getting product on your fingers, the Sommerville360 Face Self Tanning Pads are the best alternative for an instant face glow without the health and beauty risk of sunshine. Don’t let the price tag of Sisley’s Express Flower Gel mask scare you off. This product is worth the investment. I spread a thin layer of this mask during long haul travel and let it seep it’s magic into my pores. No need to wash it off. Your skin will feel hydrated and fresh upon disembarking as if you never entered the dehydrating skies. Skinceuticals C E Ferulic serum protects your skin against the damaging effect of sun exposure and pollution by neutralizing free radicals. Slather it on underneath your moisturizer on the morning you arrive and it clears your complexion. In a carry-on friendly size, it’s easy to carry and worth the shlep. Is it just me or do you always find more eye wrinkles after a long flight? I swear by Clarisonic’s palm-sized Opal Anti-aging Eye Corrector. Gently massage the serum (which is included) into your eye zone after a flight and instantly feel and look a little less tired. Another trusty pill I rely on when I travel is Vitamin D. Living in polluted cities in Asia where our exposure to quality sunlight (needed to synthesize the hormone) is limited, almost all of us are deficient in this essential immune-boosting hormone. Helps with jet lag too! I’m a fan of Sprayable Co’s new invention, Sprayable Sleep. If you use melatonin to help you sleep on a flight or to combat jetlag, this topical melatonin spray is better than the pill equivalent. It delivers melatonin directly to the bloodstream, bypassing the liver and delivers just the right amount of melatonin for your system to help with you zz’s. I like to travel with my Lelabo Rose Perfume oil. (Hongkongers, good news, they’ve recently opened a store on Star Street in Wan Chai). A strong, familiar scent can turn a stuffy hotel room into a calm oasis. The oil is a lighter alternative to a heavy perfume and if you wear it on the plane you won’t overwhelm fellow passengers. Happy travels! *As you know, I’m no doctor and only speak from personal experience! Please do your own research and read our disclaimer. Skin care is made up of more than just the products you use. Here are eleven steps to quality skin for beauty and life extension (living life in the healthiest way possible- and looking good while your doing it). 1. Reduce or Eliminate Stress: Your psychological state is reflected in the way you look. 2. Be Careful What You Eat: Following a healthy, balanced diet that includes fish, lean meats, and lots of fruits and vegetables can make a huge difference in your skin’s health and appearance. 3 Be Particular about What You Drink: Don’t just drink eight glasses of water a day- drink eight glasses of the best water available (e.g., Glaceau Vitamin Water, Voss Water from Norway, or Kangen Water with Himalayan crystal salt). 4. Get Quality Sleep: This gives your body time to repair itself. And don’t discount the importance of your sleeping surface. For example, sleeping on natural fibers is much better for your skin than sleeping on synthetics. 5. Strengthen Your Repair Efficiency: Do you bruise easily? If you get a cut, how quickly do you heal? Be sure you are feeding your body the proper nutrients, through diet and supplementation, to help your body repair itself. 7. Be Sure You’re Getting Adequate Amounts of Vitamins and Minerals: Take proper supplements for your skin and hair as well as for your overall health. Fill your diet with fresh foods in season. 8. Wash Your Skin Carefully: Use products without harsh detergents. 9. Moisturize: Moisturizing is a good idea, but don’t overdo it (you don’t want to clog your pores), and be sure to use sun protection. 10. Protect Yourself from Germs, Viruses, Fungi, and Bacteria: Choose organic foods that don’t use pesticides, and products from animals that are not fed hormones or antibacterial agents. 11. Strengthen Your Immune System: The better your body’s ability to fight off disease naturally, the less you’ll have to rely on artificial pharmaceutical products that can be harmful to your health and looks. Avoid Excess: Smoking, alcohol, stress and fatigue will accelerate the aging of your skin. Alcohol is particularly dehydrating, which is why you look sallow in the morning after a night of drinking. Keep up the exercise: Exercise increases the amount of oxygen that reaches skin tissue and keeps the skin looking young and vibrant. Avoid Sugar: Sugar consumption contributes to glycation. This is when sugar molecules bind to collagen molecules and make them stiff and prone to discoloration, otherwise known as age spots. Eat anti-inflammatory foods: Foods rich in antioxidants are brightly colored fruits and vegetables, as well as nuts, beans and legumes. (Keep with organic options). Additionally salmon contains a powerful antioxidant called astaxanthin, which helps skin stay supple and radiant. Get quality sleep: Your body needs 7-8 hours to repair itself every night. You may think that you can get by with less, but puffy eyes and dark circles are hard to defeat without adequate rest. Too much insulin present in your blood (because of too many carbohydrates and too much sugar consumption) causes the overproduction of harmful eicosanoids, which causes inflammation. Take control of your diet and you improve your health and your looks. A diet rich in omega-3 fatty acids and naturally occurring antioxidants found in fruits and vegetables helps to reduce inflammation. Sunbathe, don’t sunburn. Over exposure to the sun and UV light can damage more than your appearance: it can cause skin cancer. Remember this: a tan is not a sign of health. It is a sign that skin has been damaged by ultraviolet radiation. Also remember that skin cancer is very slow to develop; the sunburn your receive this week could become skin cancer in twenty years. Some researchers have estimated that one serious sunburn can increase your risk of skin cancer by as much as 50 percent. There really are no High-Tech preventions for this. There are several things you can do, however. First, use a high-quality sunscreen of at least SPF15 or higher (and if it contains alpha lipoic acid, even better). Second, reapply sunscreen every two hours, even on cloudy days. Third, wear clothing that covers your body and shades your face. And fourth, minimize your exposure to the sun between the hours of 10.00 and 3.00 pm. Use nutraceuticals, in particular alpha lipoic acid, MSM, and silica. Alpha lipoic acid: Considered the ‘universal’ antioxidant, alpha lipoic acid boosts levels of glutathione in all cells, exhibits antioxidant activity in almost all tissues of the body, and improves the antioxidant functionality of vitamin C, vitamin E and coenzyme Q10. It reduces inflammation, pumps up the immune system, and helps the human body knit together tissue injuries, Alpha lipoic acid is known to fight free radicals in any part of the cell and even in the spaces between them. Here’s the neat part: it also works as a powerful anti-inflammatory by preventing the activation of NFkB. This in turn blocks the cells from making pro-inflammatory compounds that accelerate aging. If NFkB is already activated, alpha lipoic acid will round up the free radicals that are generated by the inflammatory compounds. An additional feature of alpha lipoic acid is that it signals tissue-reparing compounds, including one call transcription factor AP-1, to begin working. Alpha lipoic acid allows AP-1 to ‘digest’ damaged collagen, resulting in the elimination and erasure of wrinkles. It also appears that alpha lipoic acid can protect against glycation by blocking the attachment of sugar to protein. It may reverse glycation damage and protect collagen from the toxic effects of sugar. Recommended dosage is between 10 and 100 milligrams daily. MSM: MSM is also effective in its ability to support healthy collagen synthesis. MSM is a form of sulfur critical for building healthy ligaments, bone, muscle tissue, and, yes, great skin and hair. MSM can be taken orally or applied in cream and is an essential nutrient for the maintenance of beauty. The primary protein of hair – keratin – is composed of two building blocks made up of MSM, cysteine, and methionine. Recommended dosage is 500 milligrams (minimum) to 3 grams a day. Silica: This essential nutrient has been around forever as s supplement recommended for healthy hair. It is required for maintaining healthy bones, nails, skin, and teeth. Collagen, tooth enamel, and even our gums benefit from bioavailable silica. It is found primarily in nature in a plant called horsetail. My recommendation is Silica Gel by Body Essential. Take one teaspoon a day, in juice, water or a shake. Use Silica Gel in combination with MSM for at least three months to see great improvement in the quality of your hair, skin, and nails. Use high-quality cosmeceuticals. The term cosmeceutical, coined by Dr. Nicholas Perricone, refers to a type of skin product that provides added benefit to your skin, above and beyond what a commercial cosmetic or moisturizer can provide. Cosmeceuticals, applied externally, incorporate nutrient antioxidants in very novel ways that can impede an even repair the damage to skin cells that comes with aging. They are not considered medications and therefore not regulated by the FDA. It’s important to point out that antioxidant ‘dense’ products – used for protecting and repairing skin damage – work better when applied topically than when ingested. A study reported in Skin and Allergy News confirmed that antioxidants added to sunscreens provided even greater protection from solar radiation, inhibiting more lines and wrinkles and maintaining greater skin elasticity and thickness than sunscreens without antioxidants. Alpha lipoic acid. Since ALA extends the effectiveness of antioxidants such as vitamin C, vitamin E, and glutathione, it offers extra skin protection. This is a triple-whammy ingredient – it helps suppress free-radical damage and prevent inflammatory damage and control glycation. ALA visibly reduces swelling, especially around the eyes, and can also reduce the numbers of enlarged pores on skin (a condition that rarely responds to other skin treatments). It is also useful in minimizing rosacea, a skin problem characterized by redness, bumps, and broken blood vessels on the face. Vitamin C esters. Vitamin C is one of the most frequently studied and applied antioxidants under the sun (pun intended). It has been proved to help prevent heart disease and some forms of cancer and strengthen the immune system. It turns out that vitamin C is also essential for the production of collagen, and it is a prominent factor in reducing inflammation. It accomplishes this reduction by reducing the production of arachidonic acid, which is a bad eicasonoid that causes everything from inflammatory pain to heart disease. Arachidoinic acid is also involved in the production of micro-scarring, which leads to wrinkling. DMAE: This is a powerful neurotransmitter precursor that the brain uses to improve focus and clarity of mind, alertness, and memory. DMAE also protects cell membranes against degradation, considered one of the prime mechanisms of aging. When used externally, it produces a firming effect – you might even call it an instant facelift. Within twenty to thirty minutes of using DMAE, you can see an improvement in skin tone, with a tighter, more youthful look that lasts for hours. It also appears that the long-term use of DMAE can help permanently increase the firmness of the skin, and it is used on the face and the neck. Tocotrienol vitamin E. Some studies suggest that this palm oil – derived from vitamin E may be up to forty times more potent that standard types of vitamin E (usually in a form called tocopherol, which you can pick up at your local health food store) for protection against elevated cholesterol and the plaque formation common in atherosclerosis. Studies also indicate that this form of vitamin E may be more effective for skin and hair. It can be used to make hair shinier, increase sunscreen effectiveness, and heal redness and scaling in severely dry and damaged skin. The secret may lie in the chemical structure and action of this form of vitamin E. It completely disperses in a cell membrane, moving about rapidly and neutralizing free radicals far more effectively than standard vitamin E.
For oily skin: substitute pro-biotic yogurt for honey, and add a few drops of lemon juice. 1. ZMA is zinc monomethionine aspartate. It is often combined with magnesium aspartate. Its primary goal, like the other products in this category, it to boost strength levels, prevent muscle tissue breakdown, and enhance muscle size and definition. ZMA has also been shown to increase testosterone levels. 2. Add natural honey. Honey is a natural humectant, and has been used as a natural remedy for centuries for a variety of ailments. It is known to be anti-inflammatory and anti-bacterial, and to reduce swelling in wounds. 3. Stir in the ground oats and enough water so that the face mask has a creamy consistency. The oatmeal in the mask helps exfoliate the skin, removing dirt and dead skin cells. 4. Peel and slice two pieces of cucumber. Cucumber has natural nourishing, hydrating and astringent properties. Using cucumber as part of the face mask helps to restore the natural protective acid levels of the skin. 5. Wash your face with warm water and pat dry. 6. Apply the banana face mask evenly to your face and neck and place the cucumber slices over your eyes. 7. Relax for 15 to 20 minutes before rinsing the mask off with warm water.